What do all the workout routines you see on the Internet or in magazines have in common? 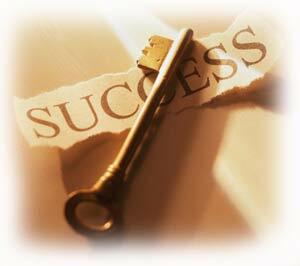 Following the incorrect route to achieving your goals only leads to frustration. Who they were designed for is anybody’s guess. Maybe they were designed for a professional bodybuilder? What about a collegiate football player? Maybe the latest “fat burning” workout program was even created for an Olympic athlete who has been exercising regularly for 20 years? How much do you think the previous workout routines would benefit someone who has led a sedentary lifestyle for the past 10 years? Do these “cookie cutter,” one-size-fits-all workout routines know about your bum knee from the high school track team? If you had a broken leg in high school, it will affect your training program. If you work a job where you sit 9 hours a day at a desk, you better believe your exercise selection is going to be different than someone who is on their feet. It is very important to consider your posture at the outset of a workout program. If you do not understand why, you should read about muscle imbalances which can lead to posture problems and how they affect your fitness training and results. The design of your workout program is based on your current height, weight, body fat and fitness goals as well as your preferences. Do you want to work out 3 days a week or 6? Do you want to spend 2 hours in the gym at a time, or 45 minutes? Since your workout program is going to be designed based on your preferences you will be able to make constant progress and systematically achieve your short term fitness goals, until your long term goal is within sight. How does a Individual Workout Program Work? The finished puzzle represents the best workout routine to accomplish your fitness goals. If you have never put the puzzle together before, i.e. do not know too much about exercise science and the human body, it may be a daunting process. 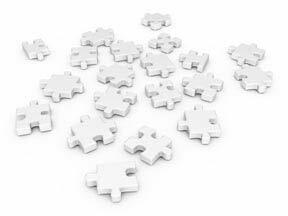 Many people who try to put together their workout puzzle by themselves get discouraged when the desired results do not happen. 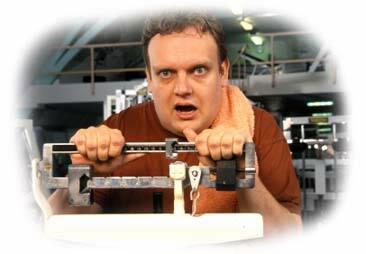 The discouraging feeling often leads to cessation of their workout routine altogether. 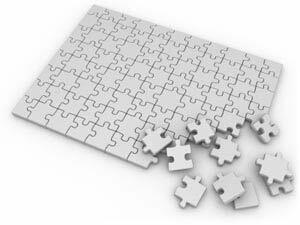 Wouldn’t it be easier to have someone who has put the puzzle together hundreds of times for many different people do it for you? That is where a personal workout program becomes personal. Personal trainers know that each exercise is only unique when performed by itself. The key to achieving the best results with a workout plan is to intelligently put together the exercises in a manner which will create optimal, time-efficient workouts. Your workout program puzzle will be put together eventually. It is your choice to get it put together quickly and professionally or slowly and inefficiently. What are the Keys to Getting Results While Following a Personal Exercise Program? Exercise is the most potent stimulus to change your body. Your body changes in between workouts over time never during workouts. In order to get your body to respond proper to the stimulus you absolutely must pay attention to your nutrition. Do not underestimate the importance of nutrition. Proper nutrition is an integral aspect of a customized workout program. In order to get results from your workout program it is important you monitor and if necessary change your diet. You can take the guesswork out of nutrition by hiring a dietician or using a program such as EDiets which will guide you through your nutrition. What is the Entire Personal Exercise Program Process like? If your situation will benefit from a customized workout program, you will receive a questionnaire. The questionnaire provides the personal trainer with all the information necessary to create a workout plan which will give you the highest chance for success. Once you fill out the questionnaire you will receive a complete personal workout program based on your preferences. If you are unfamiliar with any of the exercises, you can view them online in the exercise video library or purchase a DVD with all of the exercises which you will be using. Watch the exercise videos on your DVD player at home or upload them onto your iPod for use at the gym. Learn all about creating your own workouts by using the general principles of weight training and exercise science. Watch exercise videos of over 300 functional and traditional exercises. Ask a question about the benefits of a custom workout.